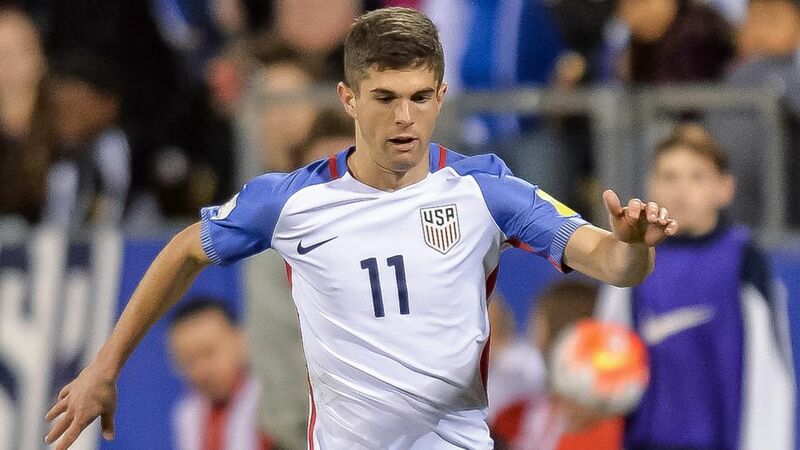 Borussia Dortmund's Christian Pulisic became the youngest USMNT scorer in FIFA World Cup qualifying history on Friday, scoring twice as the USA ran out 6-0 victors against St. Vincent at the Arnos Vale Stadium in Kingstown. Want Christian Pulisic in your Official Fantasy Bundesliga team? Click here to add him in! Aged 17 years and 349 days, the Dortmund attacking midfielder scored the fourth goal of the victory in the 71st minute - only five minutes after coming on as a substitute. Pulisic promptly teed up Sacha Kljestan for the USMNT's fifth goal in the 78th minute before adding an excellent second goal - his third international strike - from the edge of the box in injury time to round off a comfortable 6-0 win. Jürgen Klinsmann's side will secure early qualification for the final round of CONCACAF 2018 FIFA World Cup Qualifying if Trinidad&Tobago beat Guatemala later on Friday. When Pulisic replaced Borussia Mönchengladbach's Fabian Johnson the USA were three goals to the good, a scoreline largely down to the efforts of Hamburger SV's Bobby Wood. The 23-year-old opened the scoring for the USMNT in the 28th minute with a fine finish, before winning the penalty that Jozy Altidore converted to make it 3-0 two minutes before the interval. A summer arrival at Hamburg, Wood's first-ever Bundesliga goal was chosen as the Matchday 1 Goal of the Week by bundesliga.com's Twitter users.